More names to be announced soon. Stay tuned !! The greenest urban festival in the country is getting ready for its 30th edition. On the 28th, 29th and 30th of June 2019, the breathtaking Osseghem Park by the Atomium will welcome a diverse mix of established and emerging hip-hop, soul, funk, reggae and world artists, dozens of DJ’s on 4 surprising stages, countless experiences and culinary highlights, an enchanting decoration and 66,000 beautiful people who perfectly represent the diversity of Belgium. 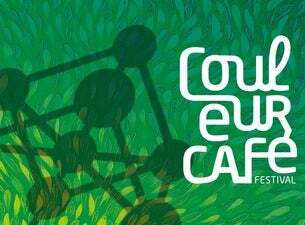 Couleur Café is more than a festival, it is a journey around the globe that’ll keep you dreaming for the rest of the year. And it has been for 30 years.